They built a life together, raising two children. In 1952, they purchased three acres of land in Penfield. 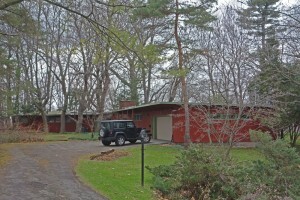 The design and construction of their single-family home on Parkview Drive, a long residential street that perched above Irondequoit Creek and its wetlands, consumed Gossin’s attention for years. The home’s clean lines, open plan and careful situation in a copse of trees atop the bluff, concepts that Gossin said were meant to echo Frank Lloyd Wright, embraced the home’s location and, perhaps, helped inspire Gossin’s ardent defense of the wetlands so close at hand. I went to my records and discovered that Don Hershey did indeed design their home. It’s classic Hershey – low slung, red and green exterior, oriented appropriately to the landscape amid trees. 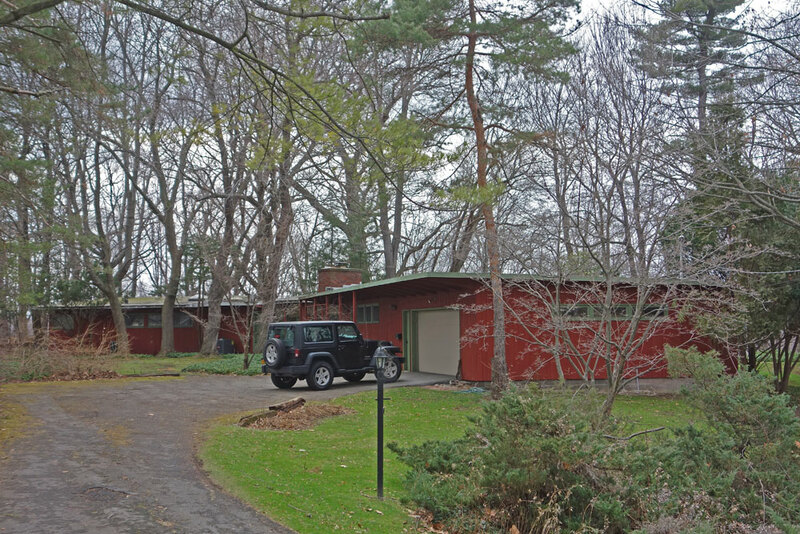 Irene’s Hershey-designed home inspired her to environmental activism. Today a nature preserve will be named for Irene. I live in a Hershey house how do I add it to this website? I am selling my home. It is a Don Hershey and we have maintained its charm. We have updated the home with a new kitchen and even with a roof system so it is energy efficient without loosing Don’s art. How do we avertise the beaty.